Our Channel Marker pants are perfect for active days spent by the water or enjoying a night out with friends. 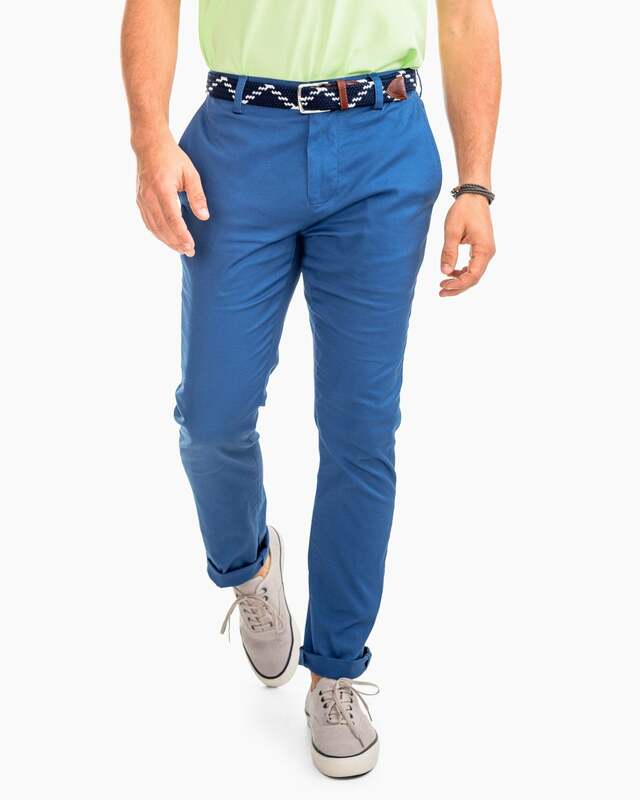 Fully embracing the coastal lifestyle, these pants offer a lightweight cotton/stretch fabric for comfort, signature Channel Marker contrast button stitching and Intracoastal Waterway navigation rules printed on the inside pocket. NOTE:"UNF" refers to an unfinished length that you can take to your local tailor for custom hemming.